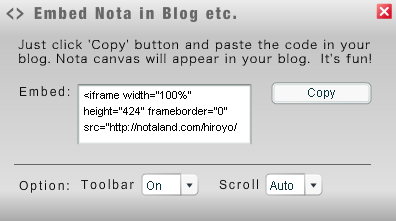 Nota Official Blog: Nota on your blog! 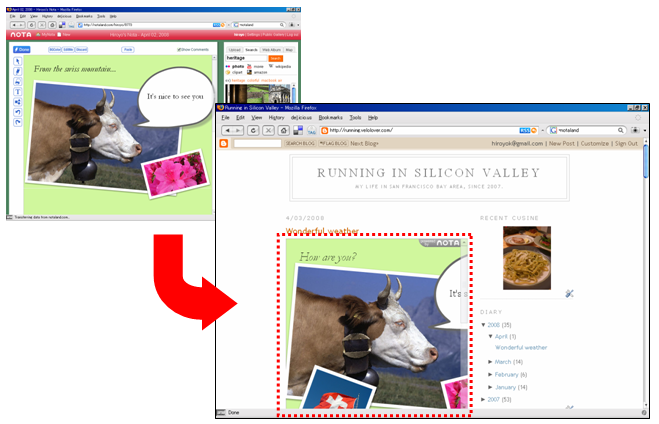 After creating your Nota page, click "view" button on the top-left corner. Then, click "Embed" on the right box. Copy the code and paste it in your blog.